Pierre Bonnard was born on October 3, 1867, in Fontenay-aux-Roses, France. He began law studies in Paris in 1887. That same year, Bonnard also attended the Académie Julian and in 1888 entered the Ecole des Beaux-Arts, where he met Ker-Xavier Roussel and Edouard Vuillard, who became his lifelong friends. Thus Bonnard gave up law to become an artist, and, after brief military service, in 1889 he joined the group of young painters called the Nabis (the prophets), which was organized by Paul Sérusier and included Maurice Denis, Paul Ranson, Roussel, Vuillard, and others. The Nabis, influenced by Paul Gauguin and Japanese prints, experimented with arbitrary color, expressive line, a wide range of mediums, and flat, patterned surfaces. In 1890 Bonnard shared a studio with Vuillard and Denis, and he began to make color lithographs. The following year he met Henri de Toulouse-Lautrec. Also in 1891 he had his first show at the Salon des Indépendants and in the Nabis’s earliest exhibitions at Le Barc de Boutteville. 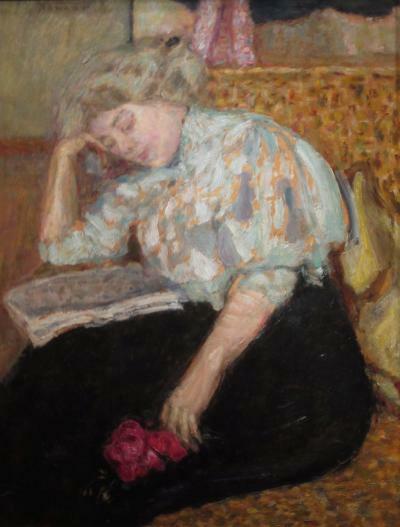 Bonnard exhibited with the Nabis until they disbanded in 1900. He worked in a variety of mediums; for example, he frequently made posters and illustrations for La Revue blanche, and in 1895 he designed a stained-glass window for Louis Comfort Tiffany. 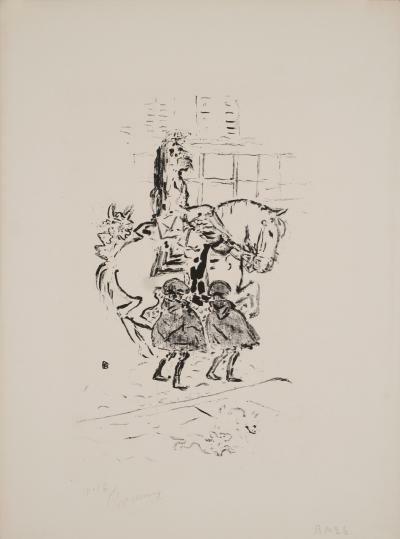 His first solo show, at the Galerie Durand-Ruel in 1896, included paintings, posters, and lithographs. In 1897 Ambroise Vollard published the first of many albums of Bonnard’s lithographs and illustrated books. In 1903 Bonnard participated in the first Salon d’Automne and in the Vienna Secession, and from 1906 he was represented by Galerie Bernheim-Jeune, Paris. He traveled abroad extensively and worked at various locations in Normandy, the Seine valley, and the south of France (he bought a villa in Le Cannet near Cannes in 1925), as well as in Paris. The Museum of Modern Art, New York, organized major Bonnard retrospectives in 1946 and 1964. Bonnard died on January 23, 1947, in Le Cannet, France.